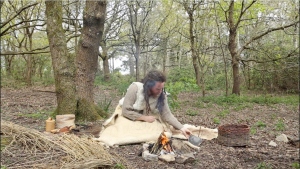 If you recently saw smoke rising from the woods in Upton House Gardens, Poole, don’t be alarmed, it was us re-creating how fire was made in iron age times – not allowed without permission – we hasten to add! 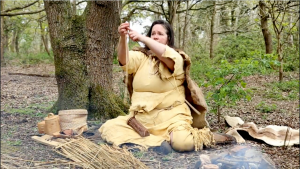 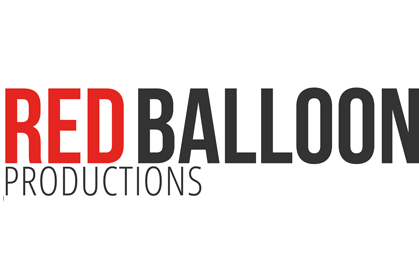 We have been working on a number of short films for Poole Museum, to show them a range of ancient techniques such as fire lighting, flint napping, reed rope making, coin striking and grinding corn. 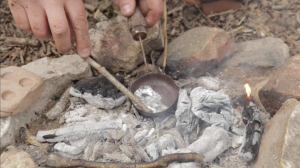 The experts Corwen, Kate and Ian showed us just how much patience and time you had to have in abundance in the stone and iron ages just to live and make life bearable.